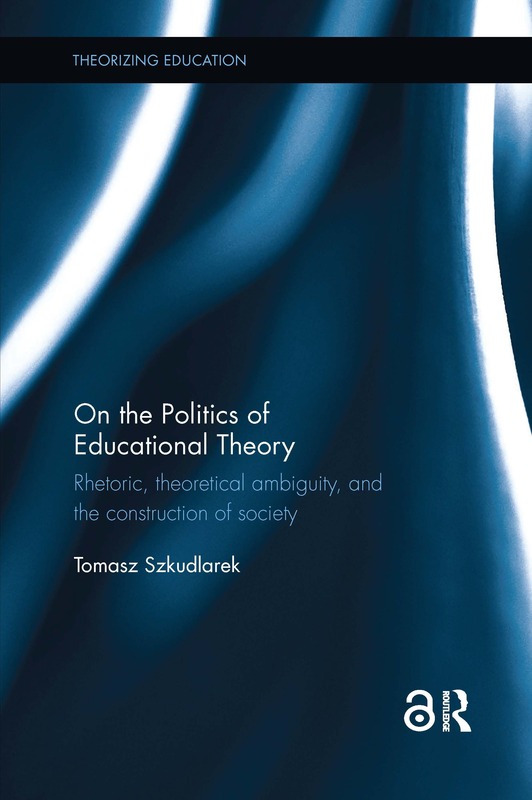 On the Politics of Educational Theory considers the political significance of educational theory as a specific genre of public discourse. Rather than understanding educational theories solely as addressing issues of childrearing and instruction, this book aims to view educational theories in a broader socio-political context. It explores the role of educational theories in the construction of collective and political identities, and analyses them as rhetorical strategies operating as political discourses. Defining the methodological framework through the perspectives of Michel Foucault and Ernesto Laclau, each chapter examines the ways in which theories of education contribute to the creation of social realities and identities. Such issues as the construction of visibility and invisibility of power, the tropes of temporality, or the use of postulational language where theorists say what ‘should’ be done in and by education, are some of the threads that weave through particular theories – from Rousseau to the discourse of education in the knowledge-based society – analysed as ontological rhetorics constitutive of political identities. This book suggests a direction for a more conscious way of dealing with the political in education. As such, it will appeal to researchers, academics and postgraduate students in the fields of educational research, philosophy of education, curriculum studies, social and political theory, and theory of education. Tomasz Szkudlarek is Head of the Department of Philosophy of Education and Cultural Studies at the Institute of Education, University of Gdansk, Poland.